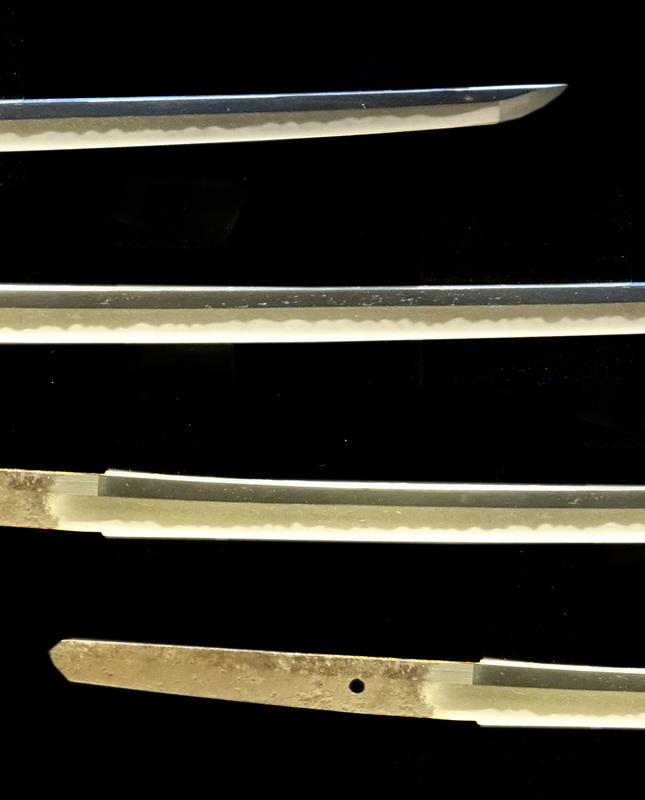 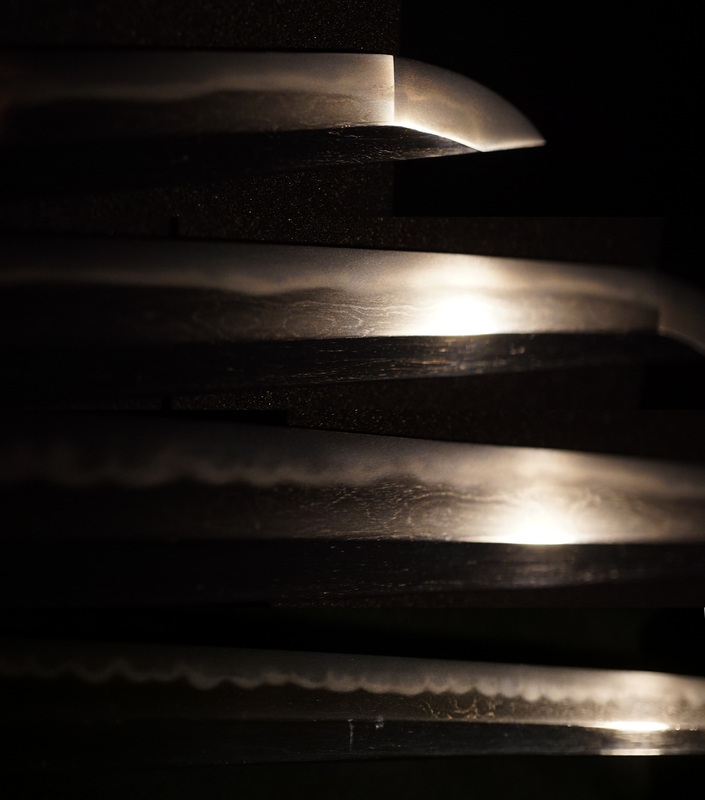 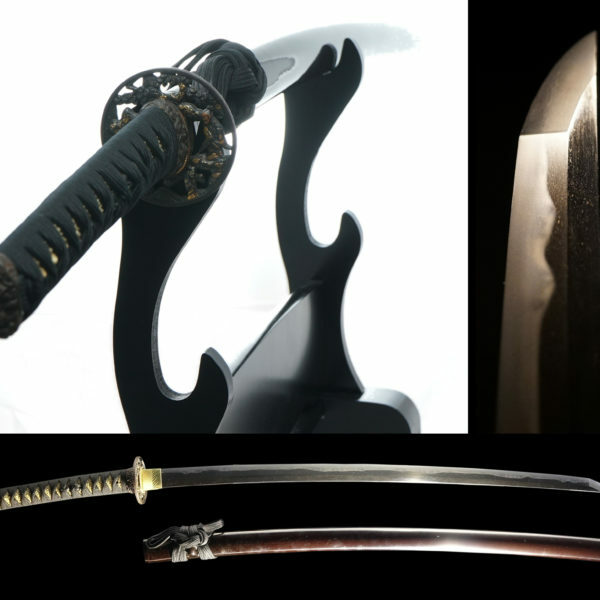 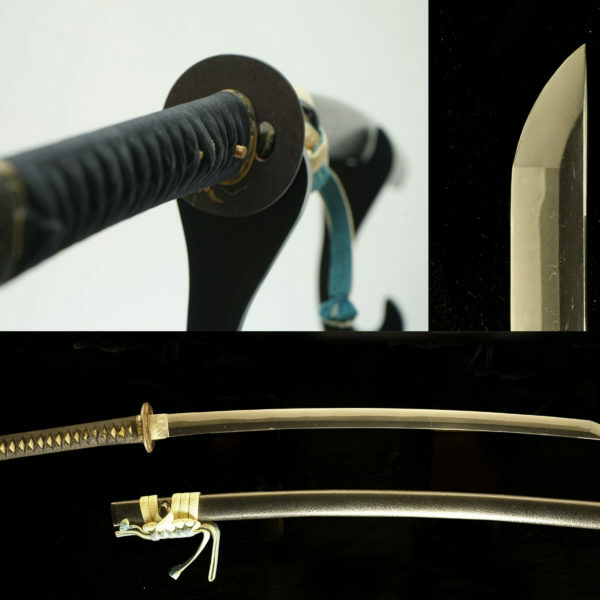 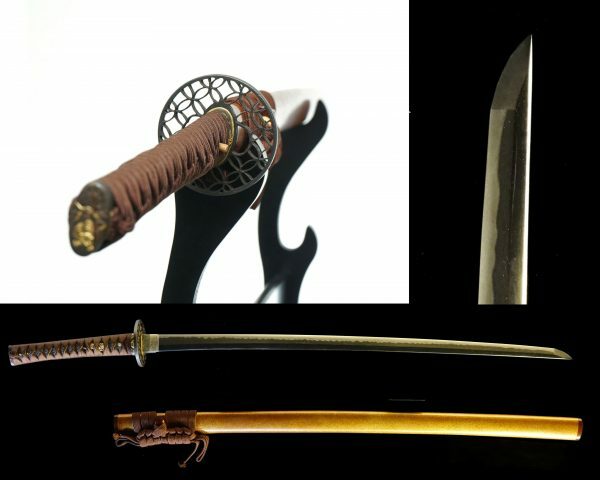 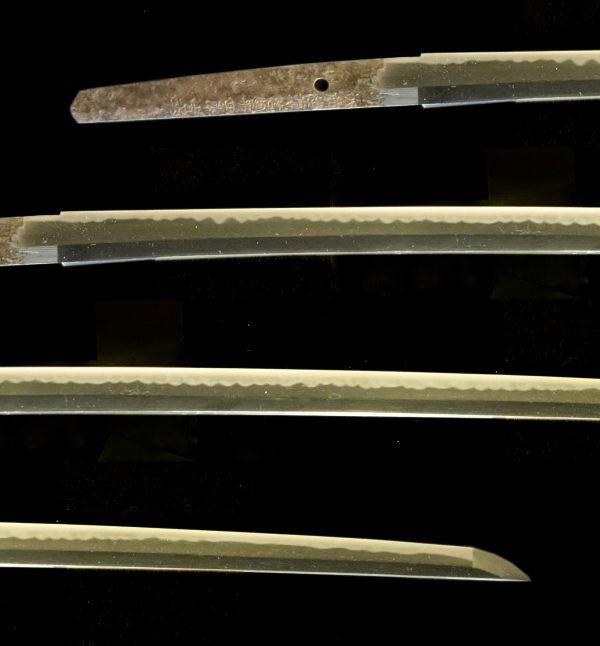 The SHINTOU NOBUKUNI school has its origins from Kyoto Nobukuni school which had produced top class swordsmith in YAMASHIRO. 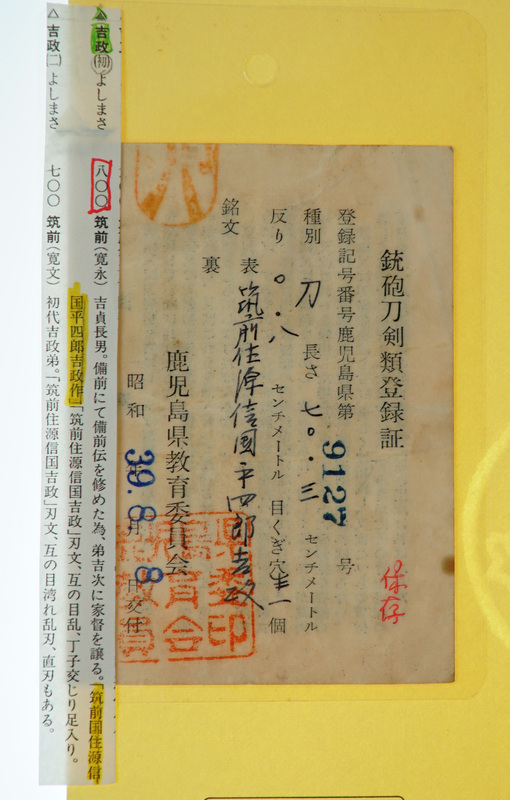 In Muromachi period they moved to CHIKUSHUU Province(FUKUOKA Pref.). 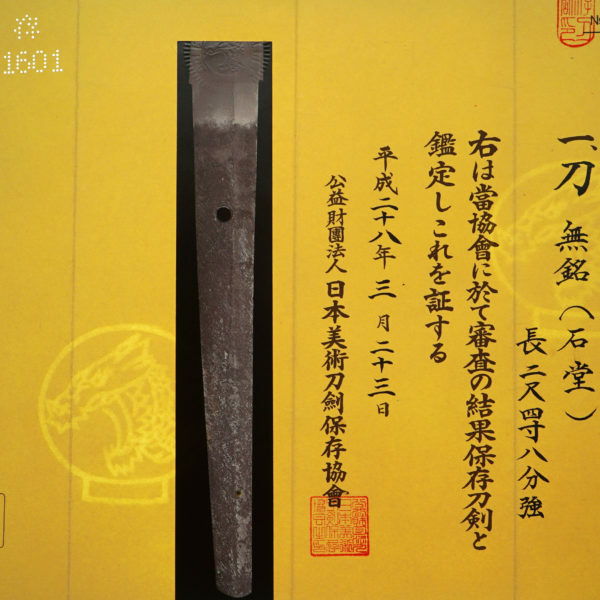 The load of FUKUOKA Castle KURODA wanted them and they had been lived in the fukuoka castle town. 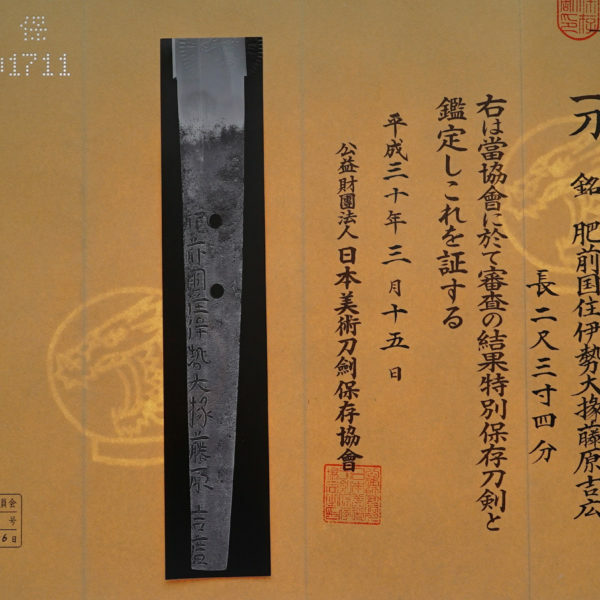 So they had been flourished until late EDO period. 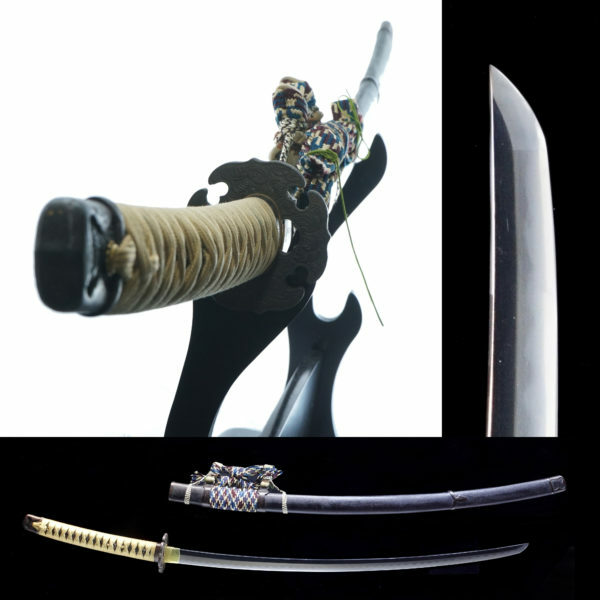 Their swordsmith name had a certain Mr.NOBUKUNI at head portion of own his name. 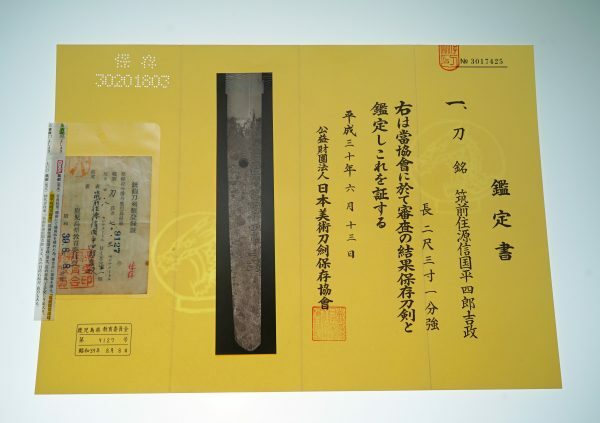 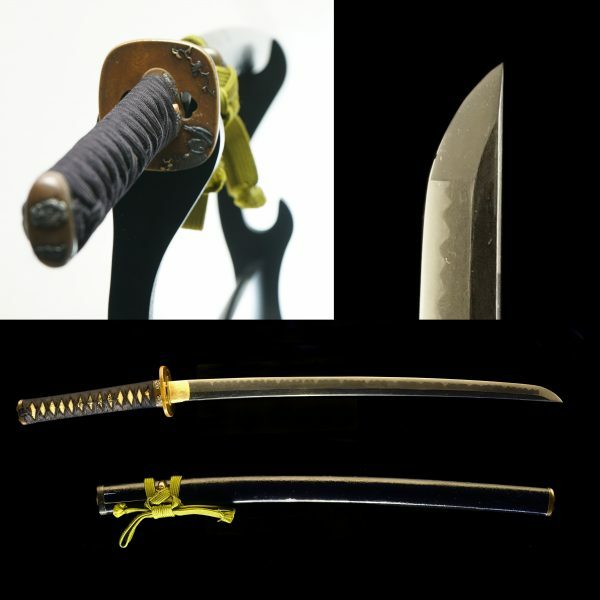 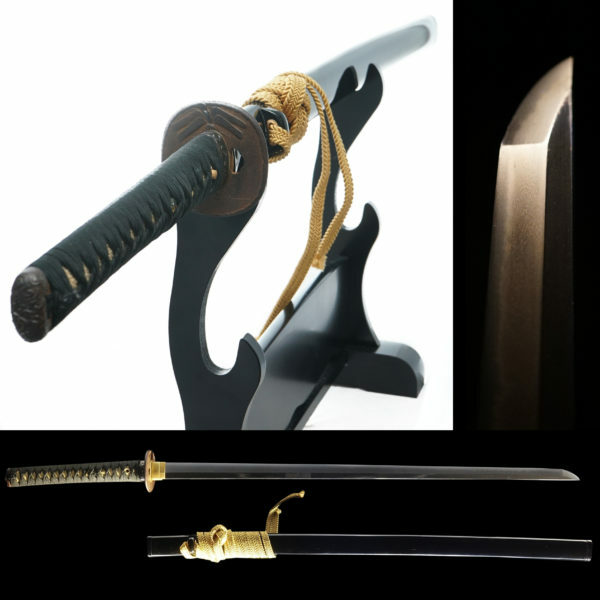 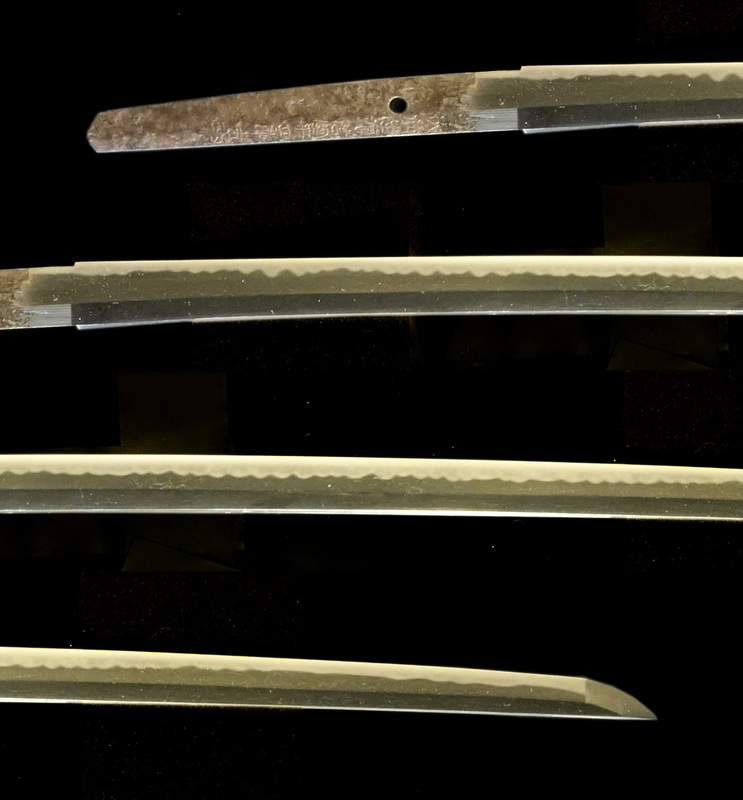 The brilliant Koshirae (mounting) has gold colored lacquered scabbard. 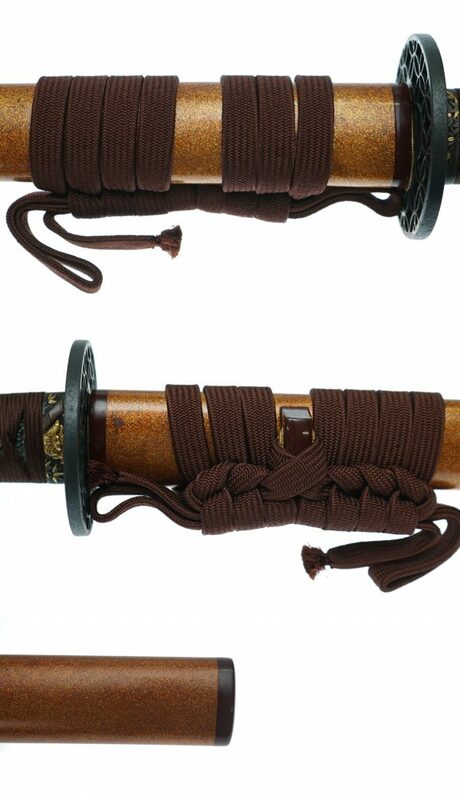 The hilt fitting are carving tiger and bamboo on shakudou NANAKOUCHI base. 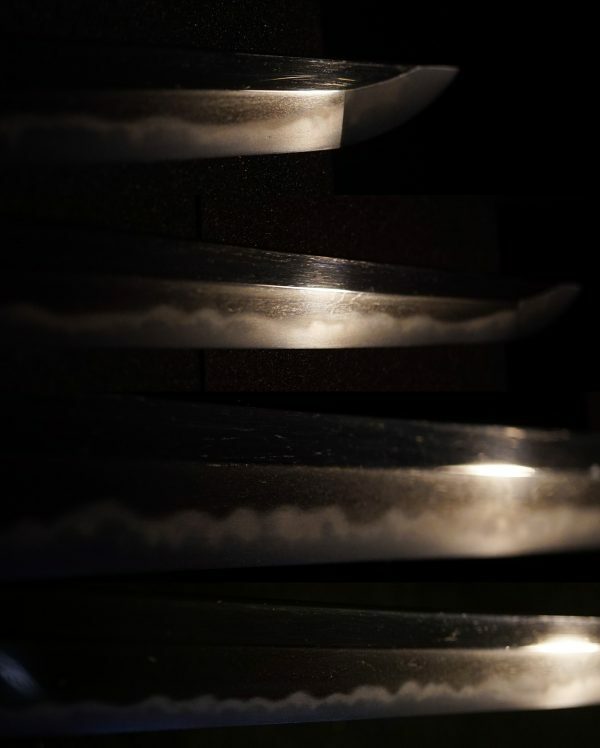 The antique MENUKI are also tigers gold foiled on copper. 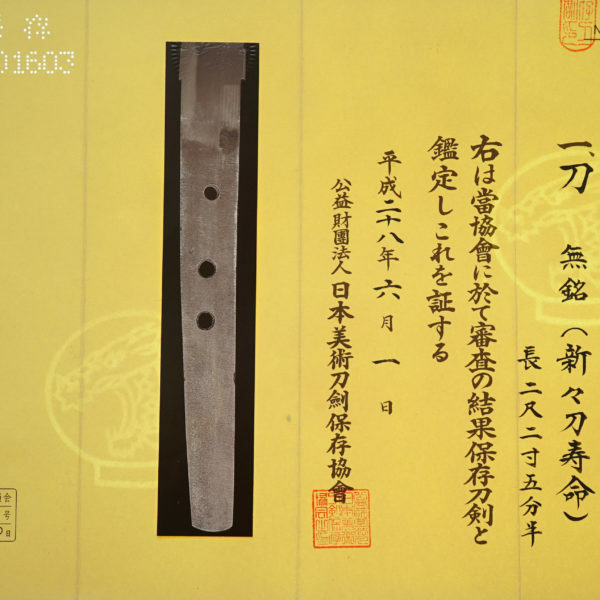 The iron TSUBA has carved design of 七宝透かし(shippou-sukashi) .